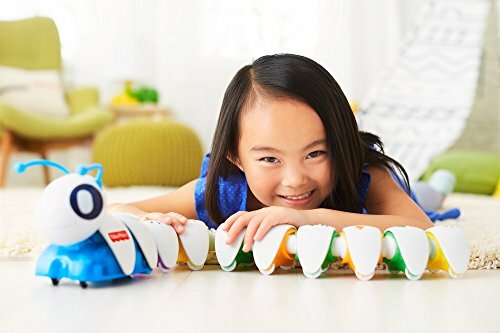 The Fisher-Price Think & Learn Code-a-pillar both fun and educational. Your children can develop their problem-solving skills while playing with an enjoyable, interactive caterpillar. Featuring 9 separate segments that light up and move in different ways, there are thousands of ways to combine the pieces. Learn more about this innovative toy with the following review of the Think & Learn Code-a-pillar. 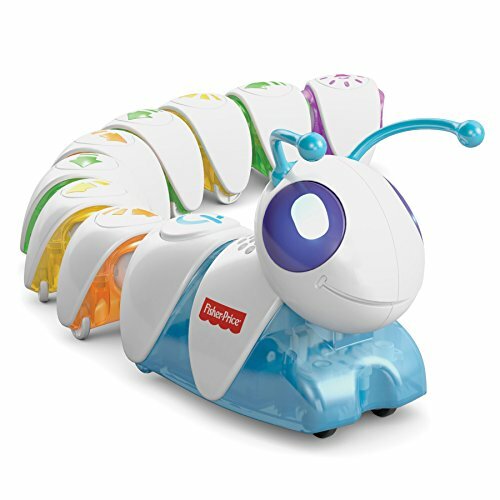 What is the Fisher-Price Code-a-pillar? At first glance, it is difficult to determine what this toy does. 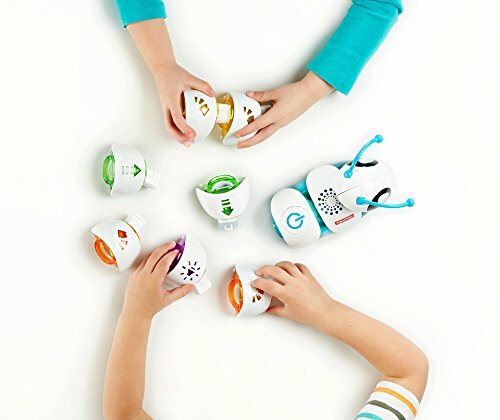 The Code-a-pillar is designed for children 3 to 6-years of age, with the intention of teaching them sequencing. This is the foundation of learning how to code, giving your kids the chance to develop these skills early in life and foster an enjoyment for technology. The Code-a-pillar consists of a motorized head and 8 body segments. Each segment is assigned a specific action, which corresponds to the label on the back of the segment. For example, there are pieces that move forward, left, or right, along with a segment that plays a catchy tune. The object of the toy is to connect the segments in a way that allows the Code-a-pillar to crawl across the floor and reach its intended target – one of two colored discs. The concept is easy enough for a preschool child to figure out. After connecting the segments, they simply hit the power button on the back of the motorized head to start the Code-a-pillar. There are many ways to play with the Code-a-pillar. 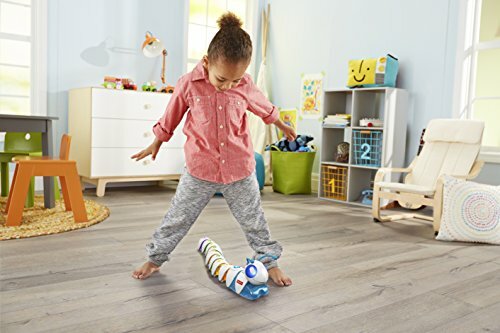 Your children can enjoy connecting the pieces and watching the caterpillar crawl across the floor. Or, you can place the targets in various spots around the house and have your children figure out how to reach the target by rearranging the segments. How does this help with problem-solving? Your child needs to place the segments in a specific order that determines its travel path. The combination of the left, right, and straight moving pieces will impact the direction that it takes once they press the on button. Once your kids get tired of playing with the eight segments included in the package, you can purchase additional add-ons. This includes the Silly Sounds & Lights expansion and the Master Moves expansion. Both of these add-ons help to increase the function of the toy, giving your children more coding possibilities. With the Silly Sounds & Lights expansion, your children get three additional segments featuring new lights and sounds. The Master Moves expansion adds another three segments, including a timer segment, an 180-degree turn segment, and a slight right-turn segment. 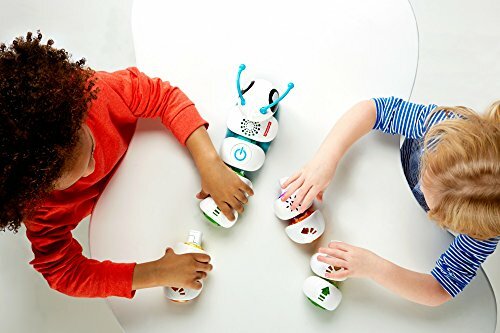 If you have purchased other learning toys for your child, then you will enjoy the fact that the Code-a-pillar does not require a connection to a smartphone. While there is a learning app that you can download and use to increase the educational value of the toy, the app is not required to bring the Code-a-pillar to life. This means that your children do not need to spend any more time staring a screen. The sturdy plastic segments can take a beating and keep on ticking. They are also easy to connect and disconnect. Your child should not have any problems rearranging the segments in various combinations. They will be able to spend hours testing out the combinations to see how they change the path that the Code-a-pillar takes. Another advantage of the Code-a-pillar is that you can teach your children valuable skills before they even start school. They will already have a head start, thanks to an electronic caterpillar that travels across your floor. It should be mentioned that the Code-a-pillar does not travel well on carpeting. Parents have commented that the Code-a-pillar slow down when attempting to roll across the thick carpet. Parents with hardwood, tile, or laminate flooring should not have any trouble. The recommended age range may not be accurate, but these recommendations are always the discretion of the parents. It is not that there are any choking hazards for your 3-year-olds, but they may have difficulty understanding the concepts behind the Code-a-pillar. At the same time, your 6-year-old may find the toy to be too “childish”. As a parent, you know that these age ranges are just an estimate. Overall, the Fisher-Price Think & Learn Code-a-pillar is an original toy that actually serves a purpose. It helps teach your children basic sequencing and problem-solving skills. It helps with letter identification and categorization. While the educational features of the Code-a-pillar are great, your children will also love the lights and sounds. This makes the Code-a-pillar a perfect example of how to combine education and entertainment, without forcing your child to stare at a computer screen. None of these benefits would mean anything if the product stops working. So, you will be pleased to know that the Code-a-pillar is durable, easy to use, and made in order to last a long time. Fisher-Price knows how to build a durable toy and the Code-a-pillar is no exception. If you are looking for a fun educational toy, then consider the Fisher-Price Think & Learn Code-a-pillar. Check another cool Fisher-Price Toys review here!